Volunteering – can you help? Health & Wellbeing – We can help you restore health to allow you to enjoy a good life. Exercise Groups – Keep your body active with our fun, inclusive exercise groups. Allied Health – Our allied health services can help you maintain a good life. Managing Chronic Disease – We offer support to help you manage chronic disease and live well. Health Support for Veterans – We offer a range of programs specifically designed for veterans needs. 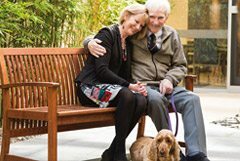 Restorative Care – Vita – Find out about our state of the art centre that supports older people to rehabilitate and regain health. Help at Home – Whether you need help with your garden or a hand with your shopping, our services will help you stay in control of your own life. Services available – Help with gardening, personal care, shopping and services to help you stay in control of your own life. Cost and Eligibility – Find out if you qualify, costs or get a quote. Home Care Packages – Government subsidised, flexible care plans to meet your needs. 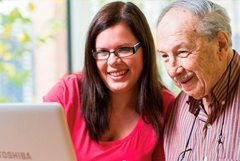 How to access help at home – Pay privately or apply for government-subsidised programs including Home Care Packages, Commonwealth Home Support Program and NDIS. Discover & Explore – Get out and about, discover new interests and make new connections. Social Experiences – We offer a huge range of activities, from group sessions to one-to-one services. Social Experiences Next Steps – Taking the next step doesn't need to be difficult, we're here to help. Cultural Programs – Welcoming everyone and respecting cultural backgrounds. Exchange – A membership network offering opportunities to rediscover your voice. Living with Dementia – Dementia can affect a person’s memory, thinking, behaviour and ability to perform everyday activities. NDIS Support – ACH Group has been supporting South Australians to live good lives since 1952. Our Specialist Staff – Meet the people who can support you or a loved one to live well with dementia. Let’s Talk Dementia – If you or someone you know has a diagnosis of dementia, you’re likely to have a lot of questions. Help for Carers – Carers sometimes need support too, find out how we can help. Help For Holidays – We all need some time away sometime, find out how we can help you take that break. Memory Loss Services – We offer a range of activities to suit individual needs and interests. Cottages – Our range of cottages are available to provide flexible respite options and support carers in their role. Social Activities – Social support programs help people to maintain their social interests or foster new ones. Short Stays – Are you caring for someone at home? Let us do the caring, while you take a break. 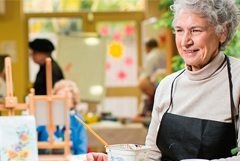 Retirement Living – Access a range of housing options - whether you’re considering moving into an independent retirement living unit that offers secure, low maintenance living, or residential care. Available Units – Our units are suitable for a range of needs. Ownership Options – Tailored and flexible ownership options are available to suit most budgets and lifestyles. Register Interest – Want to find out more? We can get back in touch with you. Maps/Locations – Find your most convenient location. Housing FAQs – Here you’ll find some of the most commonly asked questions. 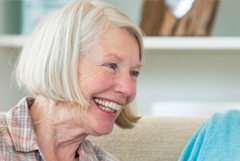 Residential Care – Discover how our residential opportunities can help you thrive. 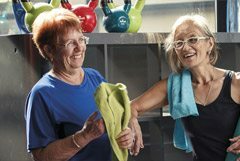 Healthy Ageing Approach – Find out about our approach to help you remain physically, mentally and socially active. Individual Homes – Discover our wide range of options available to you. Register Interest/Admissions – Find out more about taking the next steps. FAQ – Residential – We understand that you may have a lot of questions to ask. Here you’ll find some of the most commonly asked questions. Financials – Discover the many options available for funding. Information &  Advice – Our friendly, experienced staff are on hand 7 days a week to assist. Planning Ahead Advisory Service – Plan ahead to ensure your finances, medical care and personal wishes. 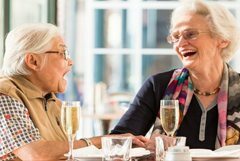 Aged Care Navigator Service – Assistance in navigating the complex aged care industry. 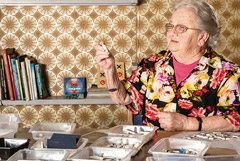 Dementia Specialist Advisory Service – Concerned about a family member or worried about your own memory? FAQs – Here you’ll find some of the most commonly asked questions. How Can We Help You? – Unsure where to look, or what to look for? Muslim Aged Care – Resources – Australian Muslim Community Engagement Framework for Aged Care. NDIS – As the world of the NDIS opens up opportunities we are here to listen to what is important to you. We are located across the metropolitan area and the Fleurieu Peninsula, catering for individuals and couples with a wide range of care needs. Our accommodation options provide a great balance of private and communal living in home-like environments, maximising the involvement of family and friends, and maintaining the enjoyment of interests in the wider community. Wonderful to see the inimitable Eileen Kramer’s entry to this year’s Archibald Prize. At 104, the choreographer and dancer refuses to allow age to define her choices. Eileen Kramer delivers her 2019 Archibald Prize entry and issues some words of wisdom for those seeking a fulfilling life — be creative and don’t let age be a barrier. ACH Group shared a Water aerobics teacher on keeping fit at 90. "Just get up and help others on your way – that helps you." We love these words of wisdom from 90-years-young water aerobics instructor Margaret, who takes classes twice a week. Lady speaks a lot of sense.